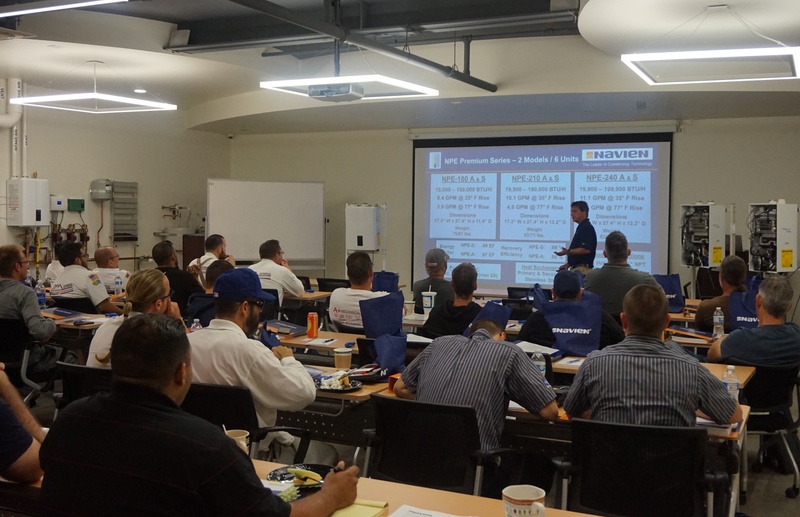 Navien is pleased to welcome you and members of your company to our state-of-the-art Training Academy in Irvine, CA. Our facility provides an in-depth training experience taught by our expert instructors. Attendees have the opportunity to work in a hands-on environment with live-fire units and learn real world applications.